Louis Pasteur was a renowned French chemist and microbiologist of the 19th century, with several extraordinary achievements to his name. Pasteur was born in Dole, France on December 27, 1822. His belonged to a poor family, with his father being a tanner by profession. Pasteur was not an exceptional student in his youth. He first entered the Collège Royal de Besançon and earned his BA degree in 1840. He stayed there as an assistant and researcher until joining École Normale Supérieure in Paris, after one failed attempt, in 1844. He received his Bachelors in Science in 1845, then worked with Antoine Jérome Balard as a teacher’s assistant and simultaneously conducted research into crystallography. He became a professor of physics at the Dijon Lycée in 1848 and then professor of chemistry at the University of Strasbourg. It was here that he met his future wife Marie Laurent, who was the daughter of the university’s rector. They had five children but three died in childhood due to typhoid. This gave him the motivation to conduct research into infectious diseases. Pasteur has made several major contributions to chemistry, with the foremost being laying the foundation of the field of microbiology. He propounded the germ theory of disease, which said that germs present in the environment attack the body from outside. He was initially ridiculed by many in the scientific community, but he kept at it and was the first to develop vaccines against many diseases including anthrax, cholera, TB, smallpox and rabies. Some of these were discovered by chance, for instance, when Pasteur’s assistant, Charles Chamberland, forgot to inoculate the chickens that he had been testing, he found that the chickens had developed an immunity against the disease. This is how the first cholera vaccine was developed. The rabies vaccine was initially created by a French doctor named Emile Roux, but he had only tested it on a small number of dogs. Pasteur used it on a 9 year old boy who had been badly bitten by a dog, and it was done at substantial risk to his personal and professional reputation as he was not a practicing doctor of medicine. However, he decided to go ahead and administer it and was successful in curing the boy. Another major contribution by Pasteur was the germ theory of fermentation. Pasteur proved that the process of fermentation is caused by the growth of micro organisms. Although he was not the first to suggest this, he was certainly the first to prove it by conducting exhaustive experiments. He showed that micro organisms caused liquids such as milk, wine and beer to spoil. He invented a process (in association with Claude Bernard) in which liquids such as milk were heated to kill bacteria and moulds present and then cooled to normal temperature. The first tests were completed on April 20, 1862, and this process came to be known as pasteurization. Pasteur contributed to the silk industry by discovering that the diseases killing the silkworms were caused by a microbe attacking silkworm eggs, and he suggested that the way to solve this problem was to eliminate the microbe causing the disease in silkworm nurseries. He also suggested that micro organisms should be prevented from entering the human body, which led to Joseph Lister’s development of antiseptic methods to be used during surgery. In 1888, a special institute for the treatment of diseases was founded in Paris and named the Pasteur Institute. 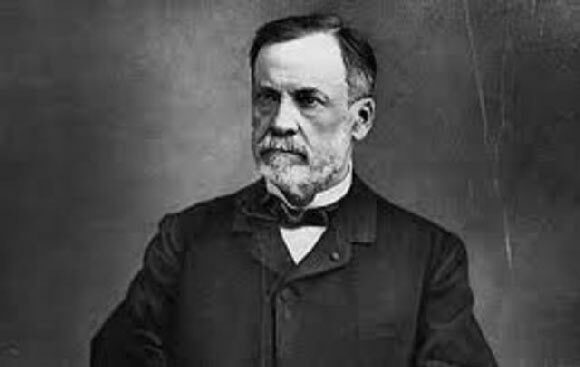 Louis Pasteur served as its director until his death on September 28, 1895. He was honored with a state funeral and burial at the Cathedral of Notre Dame, but his remains were later transferred to the Pasteur Institute in Paris. He won several awards and honors including Rumford and Copley Medals awarded by the Royal Society of London, being made a Knight of the Legion of Honour in 1853, and Order of the Medjidie (I Class) and 10000 Ottoman liras awarded by the Ottoman Sultan Abdul Hamid II.